Sometimes you don’t find out you’re needed until after you have answered the call. This happens from time to time for those who volunteer at the Rebecca Fortney Inpatient Care Center. Or, at least, it has happened to Christina Brewer. She recalled one evening when she had specifically skipped over one room where it appeared the small family of mother, daughter and granddaughter preferred to be left alone. As she left one room, she caught the glance of the patient’s daughter across the hall. They exchanged smiles. Then, the daughter came into the hall and asked if she would sit with them. They all sat around the bed for about a half hour, Brewer quietly appreciating the three generations, the second and third preparing to say goodbye to the first. She felt a sense of calm in their gathering. When she left the room, she was both pleased and a little surprised that the one room she thought needed her least may have needed her most. 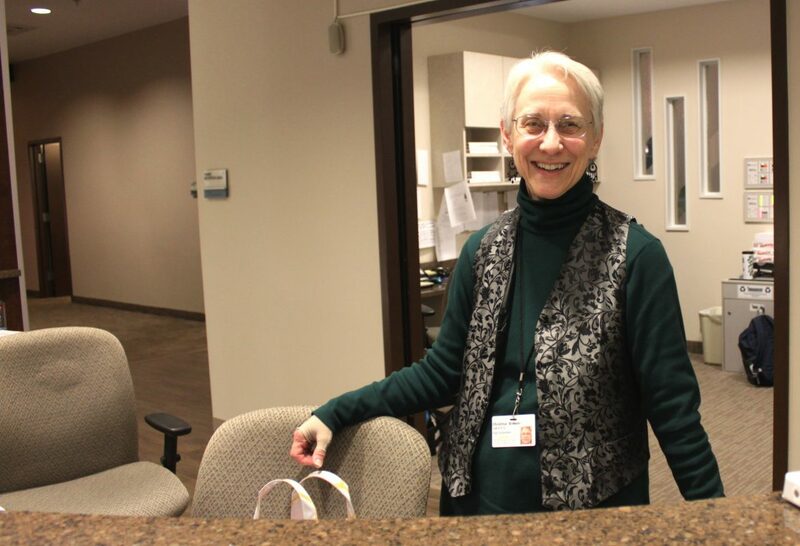 Just being there: This is the most important role a volunteer plays when serving at the inpatient care center. It is a place where patients can sometimes be alone as well as away from the comfort of their own bed. Just having someone in the room can bring comfort and peace. For Brewer, it’s an ideal volunteer position. She has been a volunteer with us for about seven years. She spent most of those years as a vigil volunteer visiting patients and families once a week at Baltimore Washington Medical Center before changing her venue when the inpatient care center opened in Pasadena.